Craig Wright is back, and this time he’s eyeing the privacy-oriented coins. 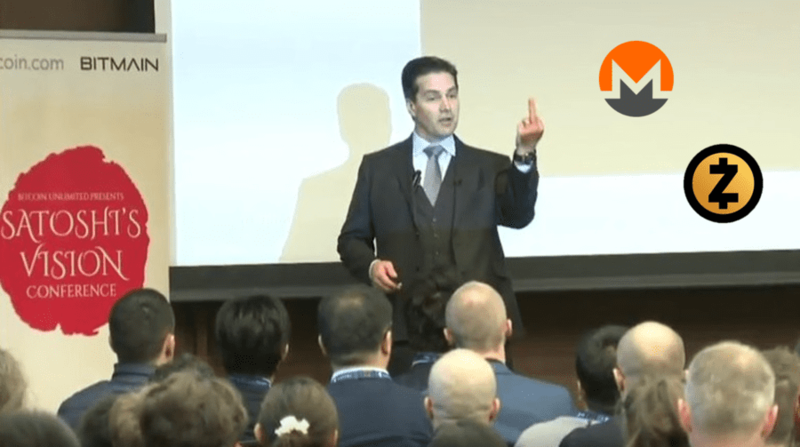 After claiming that he’s the creator of Bitcoin, Craig Wright, computer scientist says that he’s out to destroy the anonymous coins Monero and Zcash. He recently told CNBC that he knows how to destroy XMR and ZEC. He also said that he is going to expose these coins sooner rather than later. “If you have a privacy coin, I will show you that it is basically as private as running through Times Square with your pants around your ankles,” he said as reported by CCN. The online publication continues and writes that if Wright is correct, then this is pretty sad news for the dark web traders and hackers. They reportedly prefer XMR over Bitcoin due to enhanced protection. We recommend that you head over to CCN’s original article and read the whole Monero-related debate. Not my issue, you use an anon coin, a crime coin as this is all they really are, and you are in many countries already committing a crime. In more positive news about Monero, it has just been updated, and even if it seemed that there had been some troubles with the hash rate, things would settle eventually. Monero managed to successfully complete the update which included tweaks to the PoW algorithm for better ASIC-resistance, some changes to mitigate big bang attacks and enhanced transaction homogeneity to improve privacy even more. The Monero update was a successful one, but it seems that the hash rate of the XMR network has been severely hit. But according to Reddit, this is expected to stabilize in a few days, so it’s not too far-fetched to say that the update was a success overall. Despite the successful mainnet launch, Zilliqa (ZIL) dropped in the crypto rankings. Why?